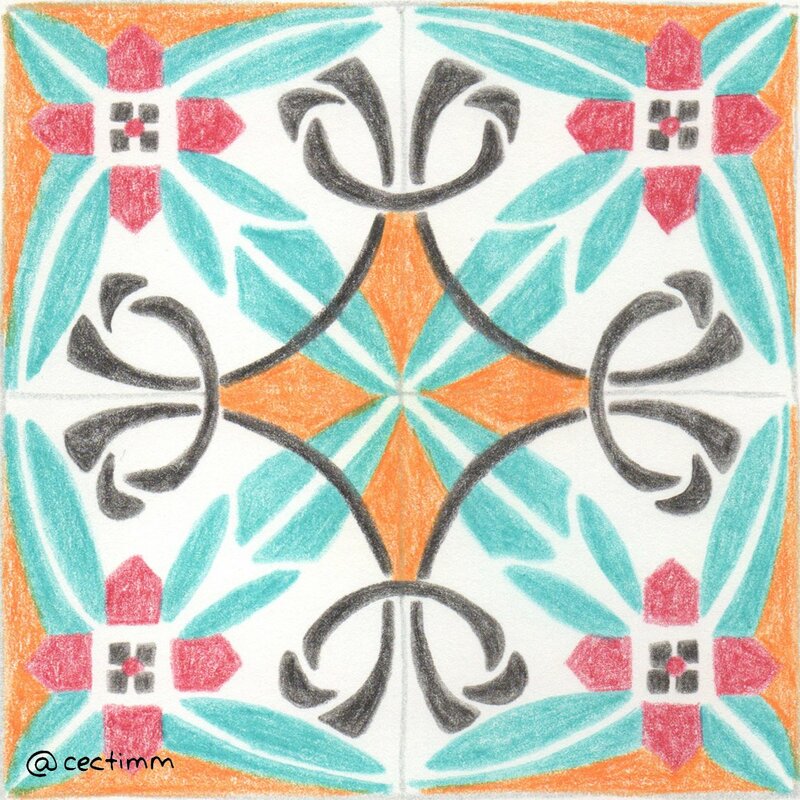 #adrawingaday #onthetiles It's hard to know the origins of many of the designs I have found online... this one was listed as Art Deco but that doesn't seem to fit. 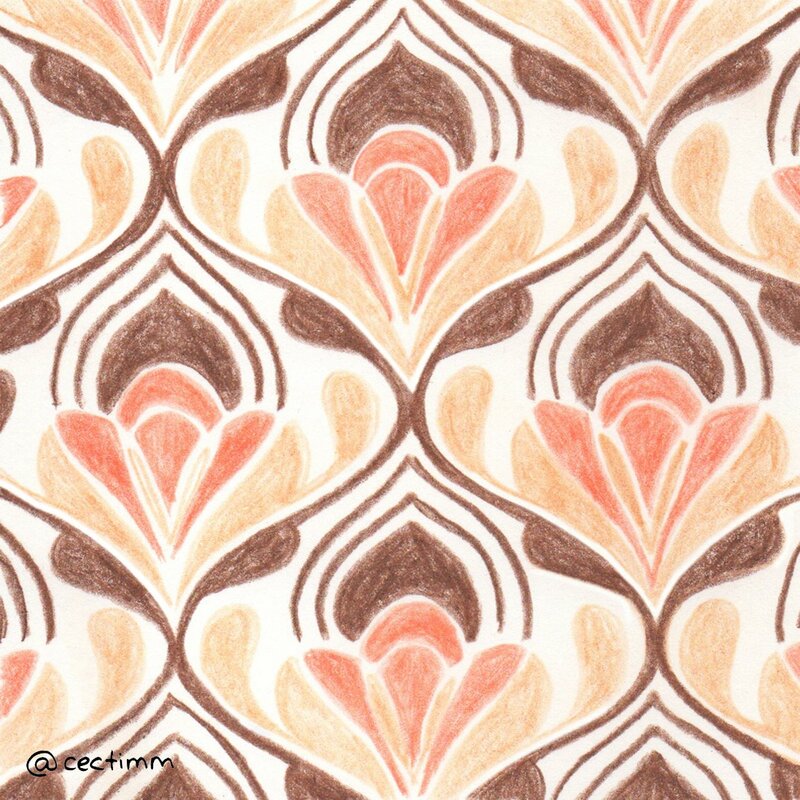 I can see this tile on the walls of an Eastern European kitchen in the 1950's. 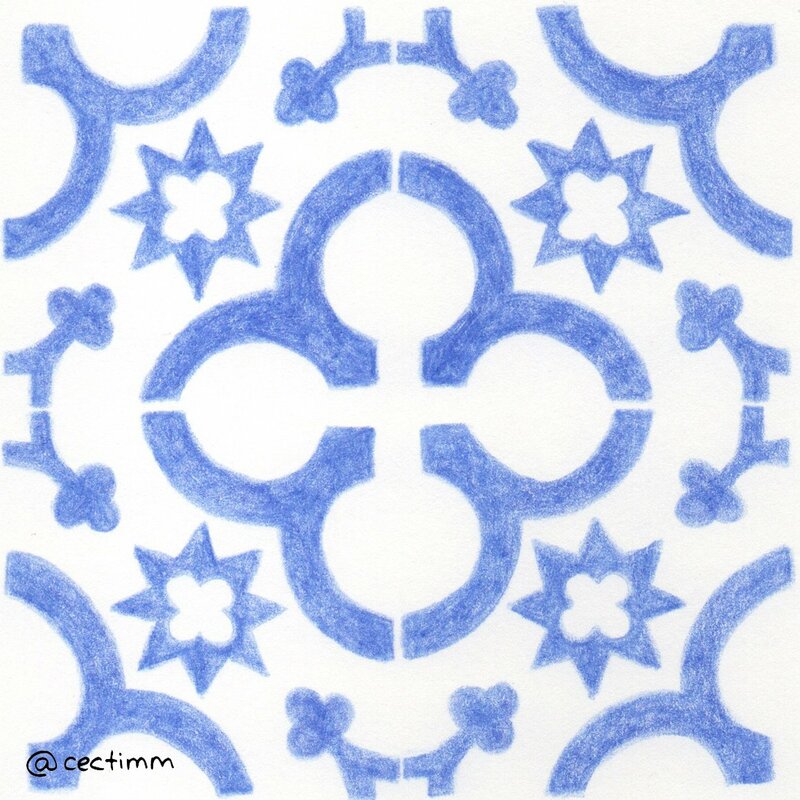 Blue and white ceramics have been a design thing for centuries... it's such a classic combo stretching back to ancient Mesopotamian artisans. 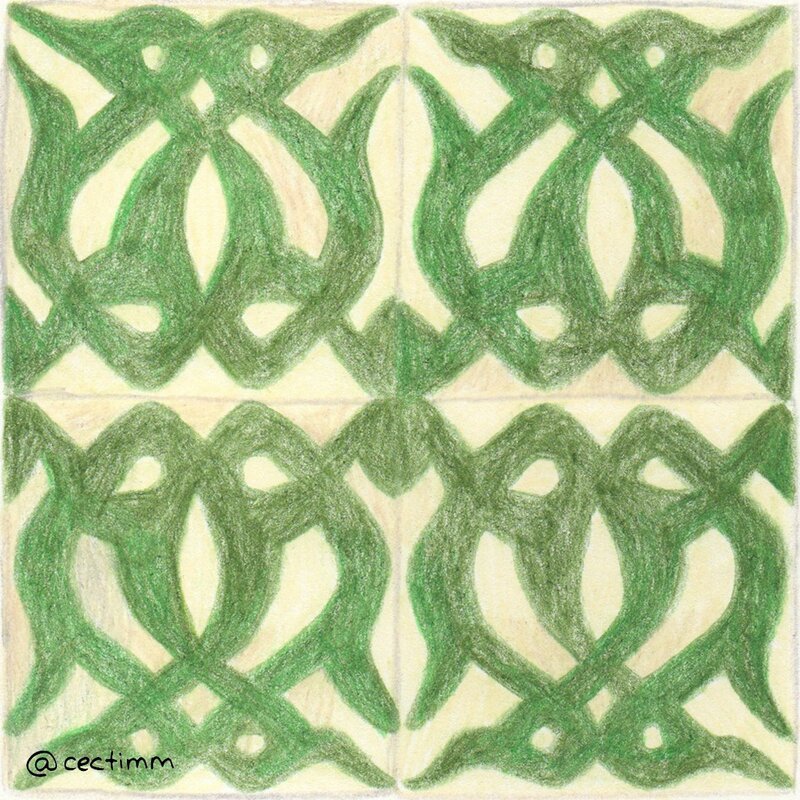 Most cultures have blue and white ceramic designs at some point in their artistic evolution ♥ If you would like to purchase a drawing or commission a portrait, please get in touch. 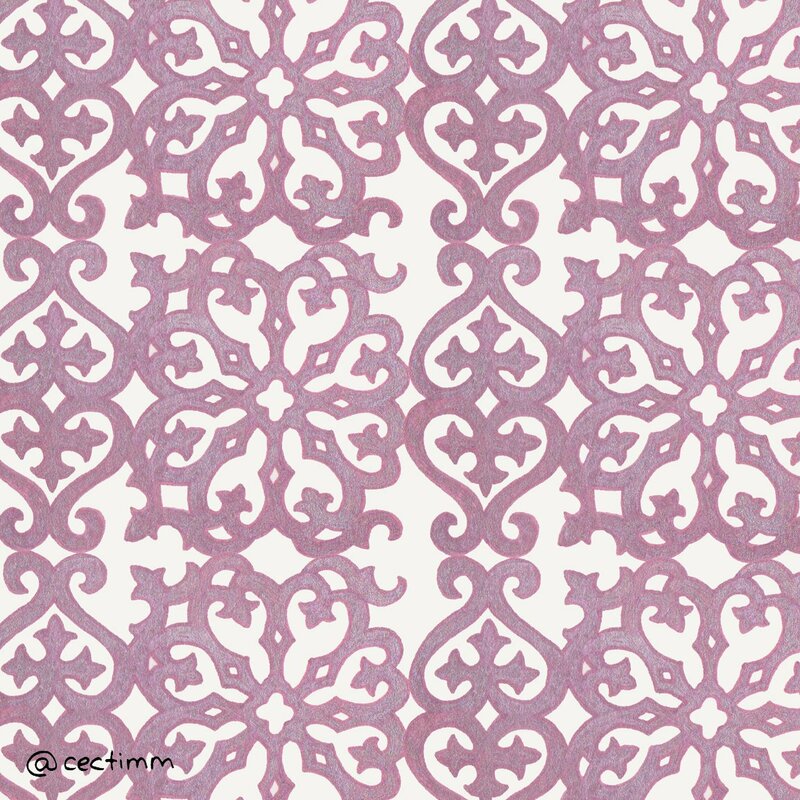 #adrawingaday #wallpaperasart Another damask design with a contemporary colour twist... there are so many damask designs, there seems to be no limit ♥ If you would like to purchase a drawing or commission a portrait, please get in touch. 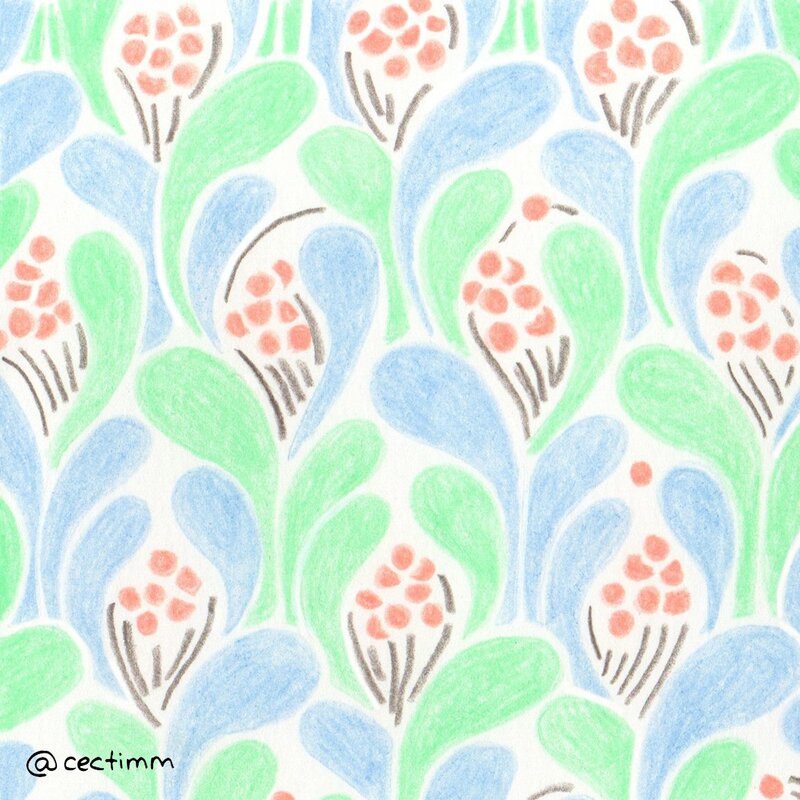 #adrawingaday #wallpaperasart Blue and green should never be seen... unless there are berries in between LOL. 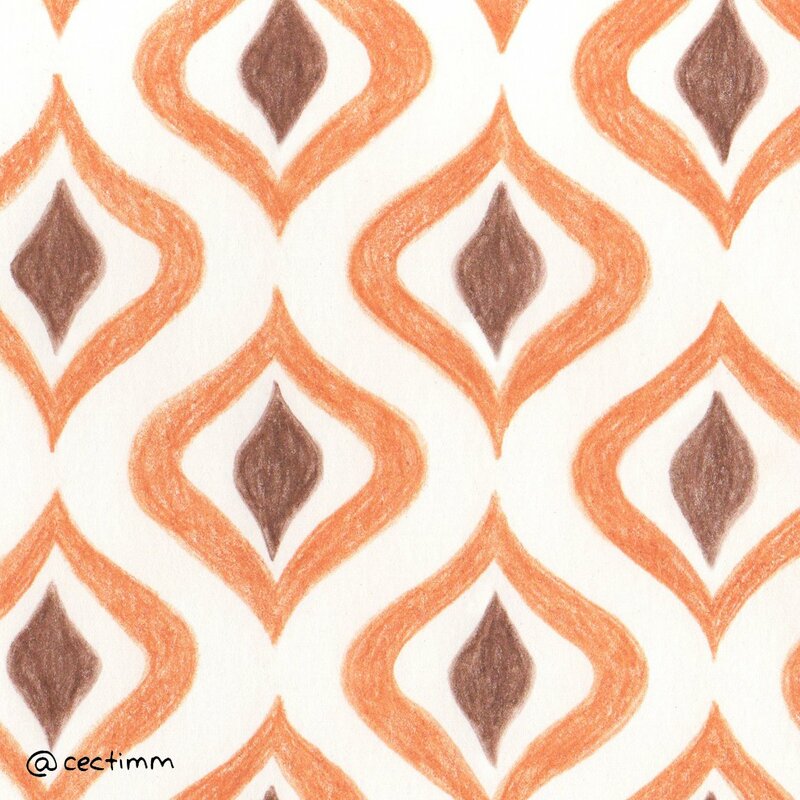 I can see this pattern is a shabby chic house filled with white furniture and colourful cushions ♥ If you would like to purchase a drawing or commission a portrait, please get in touch. 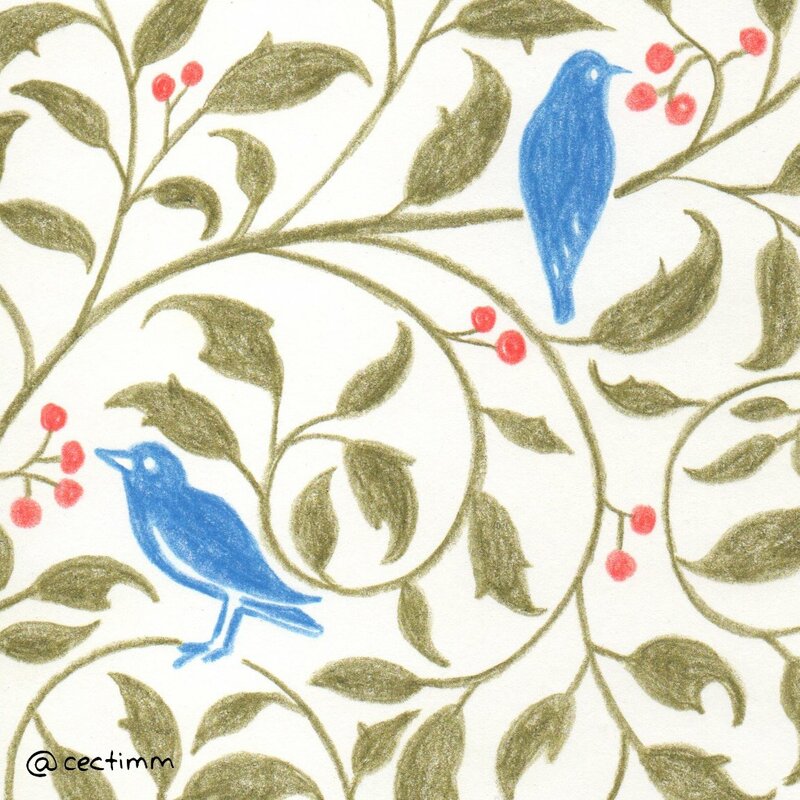 #adrawingaday #wallpaperasart This is a detail of Birds in a Holly Tree, a wallpaper design by Charles Voysey in the 1890's. He was a designer of furniture and textiles as well as an architect ♥ It's so simple, I feel like making an Australian version of this with magpies and cockatoos in gum trees. If you would like to purchase a drawing or commission a portrait, please get in touch.